Creating internal and external performance dashboards has never been easier. Equip teams to make informed decisions and anticipate problems before they arise. 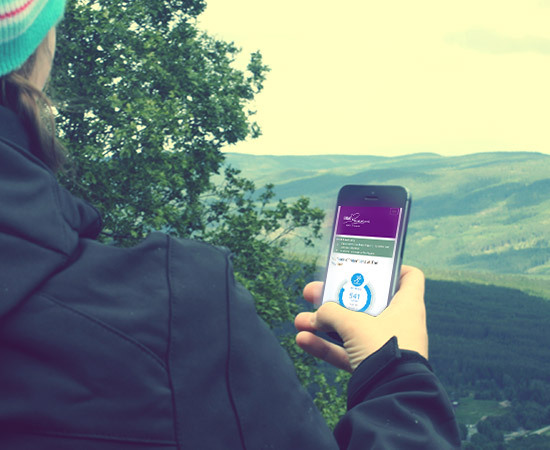 Or even deploy for widescale public accessibility, brilliant communication with your stakeholder groups including open data, data transparency and marketing. Show your customers quickly and easily what your priorities are and how you are performing against them. Highlight through intuitive, fun reports how great you are at defining objectives that meet their needs, and what’s being done to deliver the things that are important to them. Performance PORTAL is an innovative platform that serves to improve the lives of all residents. Open and transparent management of your Government organisation makes it easier for residents to hold their Government Authority to account. In the office, a meeting or on the road, have your latest performance data with you when you need it most. Customise PORTAL to perfectly match your own branding. Select colours, logos and even add your own twitter feed. Instant peace of mind knowing that with PORTAL you are using a platform that matches the Government Open Data guidelines. PORTAL can exactly match your in-house objectives, goals and indicators with a variety of target configurations. Spice up your marketing with customer dashboards giving a story of your business. Already tested by hundreds of users, we know the format of PORTAL dashboards are easy to navigate, use, and most importantly, understand. For users of all skill levels. Adding data is easy. You can input data directly into PORTAL with our simple data entry area. Or, if you are users of the full InPhase integrated BI and Performance solution, you can automate the production of your portal and automate the input of data. No fuss. One of the great advantages of PORTAL is that you can use it anywhere. 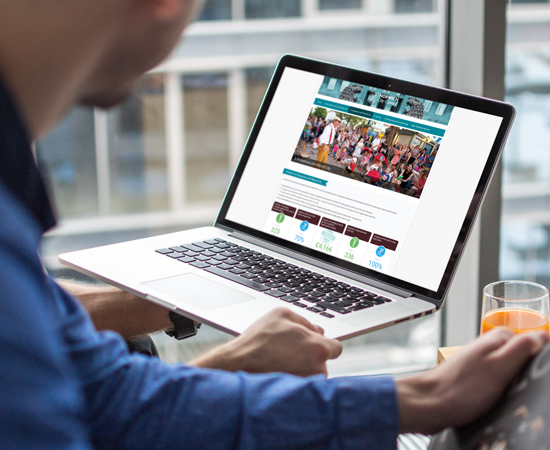 Built on a completely responsive framework, use PORTAL on any desktop, laptop, tablet or mobile device! It’s all about the style! You can change the colour of almost every element of PORTAL. With easy drag and drop of your own images, logos and twitter feeds, the dashboards are instantly recognisable as yours! Easy to use by totally non technical people, with ZERO training. You define your goals, outcomes, objectives, projects, KPIs, all through an incredibly simple and easy interface. Bond to your existing InPhase data in a few clicks. 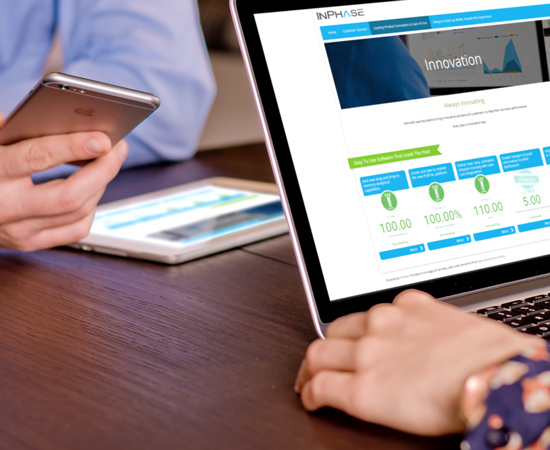 With 25 years experience developing and distributing our performance management and business intelligence toolkit INPHASE, we've made sure PORTAL is as simple and easy to use as possible. No training required. We tested it on the CEO’s 9 year old. She did great. Central Government once called it “Armchair Analytics”. We call it people power! Residents and citizens want information about the performance of their public services, and the supporting detail. Being able to analyse information gives citizens assurance, understanding and appreciation of your efforts. Your context reduces FOIA requests and explains reason or trends behind the data. Doing business is a collaborative affair, with communities of businesses partnering to achieve joint objectives. Clearly communicate how as a community you are performing, and opportunities to improve. 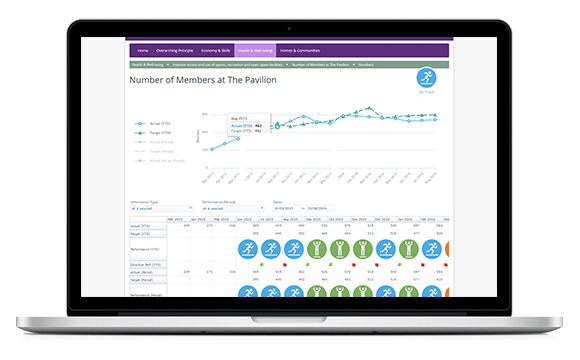 A strong pulse on critical issues: Ensure your elected councillors can access key performance information quickly and easily. Let them know what’s going on real time in the business and enable them to share this with their public. Available with a secure log-in feature. You can share and communicate internally the critical information to support employees in aligning activity to strategic intent, and flag high level critical issues quickly and easily. 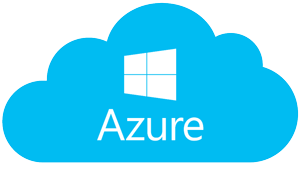 For the best performing PORTAL we'll put you on a Microsoft Azure Server, offering brilliant security and speed for your users. PORTAL Has been designed to give you beautiful performance charts and information on any browser on any device! Your data is as important to us as it is to you. We've ensured the PORTAL servers are as secure as possible. 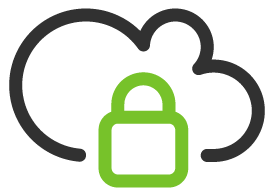 We use 256-bit encryption on your data to make sure it’s always secure. 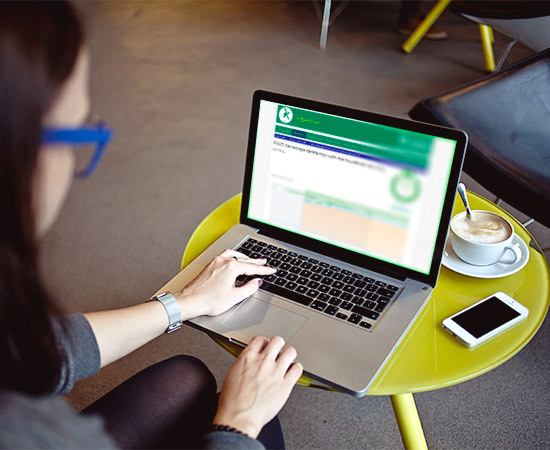 If your printing monthly or quarterly reports, you’re wasting time and money if you don’t have a Citizens Portal. The corporate plan for 2015-2020 and overall strategic direction of the council including its vision and priorities. Showing how the council is performing against a series of measures in the Corporate Plan. 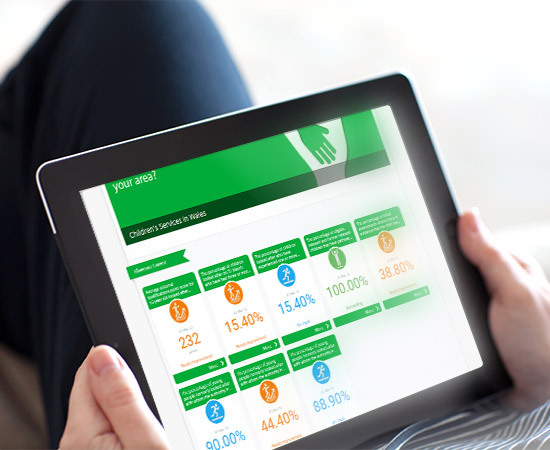 Blaby have used the portal to display performance against their core four council priorities. 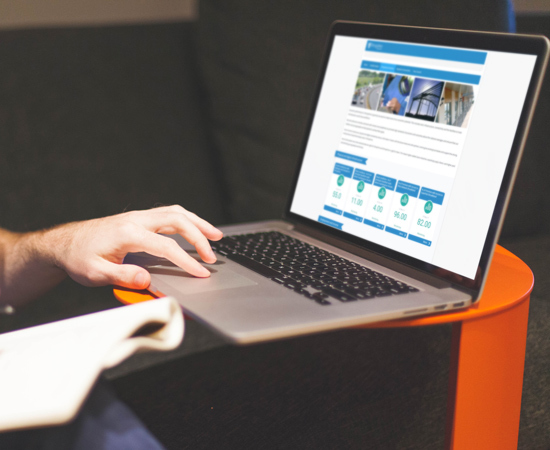 A look into our very own InPhase open data PORTAL, sharing our own performance and goals. 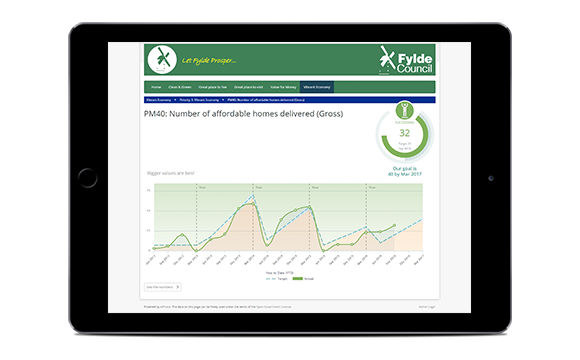 Fylde have used the portal to display performance against their core five council priorities. Compare the relative performance of all welsh local authorities.